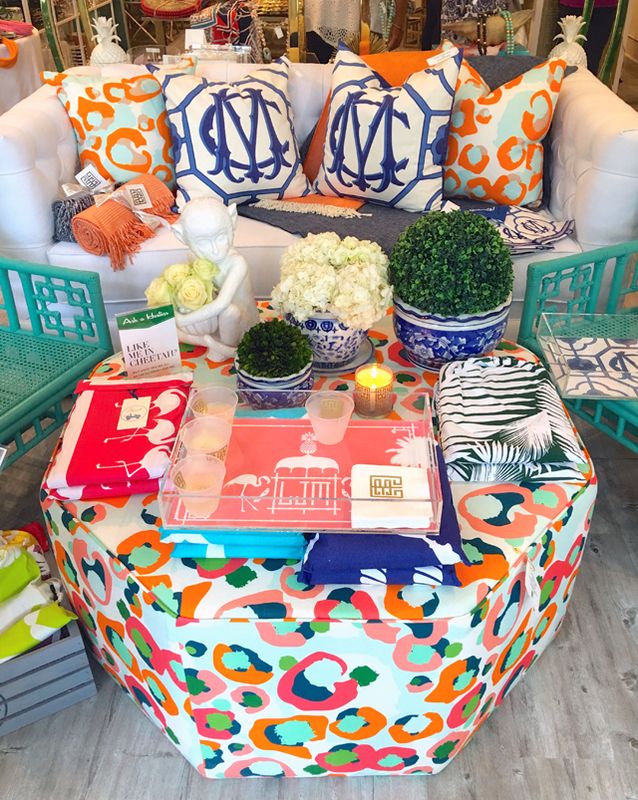 A couple weeks ago I attended the very first "Hostess Hour" at the Emily McCarthy Shoppe! 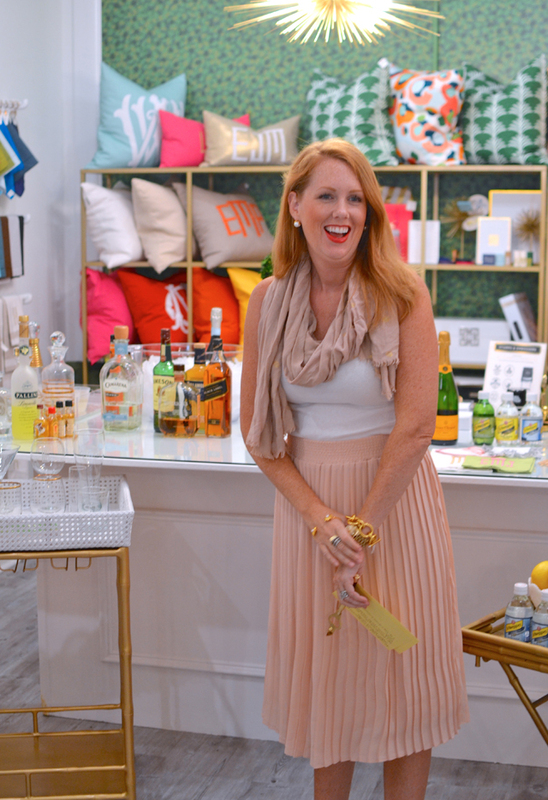 Emily is an amazing hostess, talented designer, and bubbly boutique owner here in Savannah and I love that she is sharing some of her hostess knowledge with the rest of us. 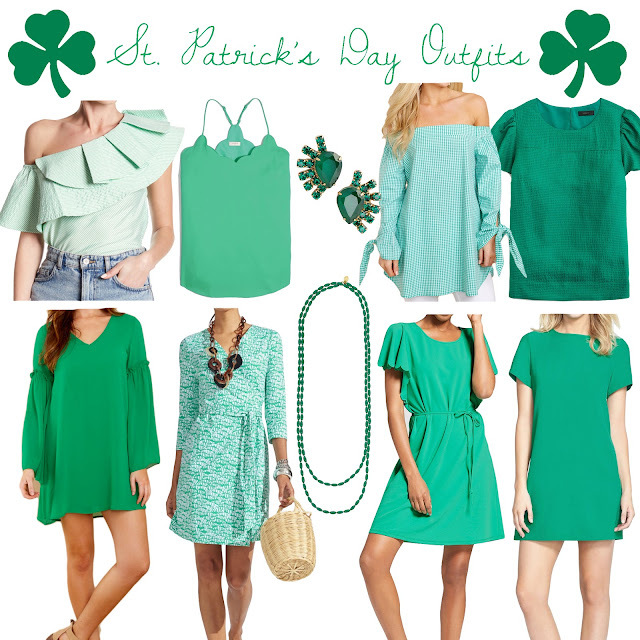 I did a little tour of her Shoppe back in April that you can see more of here! 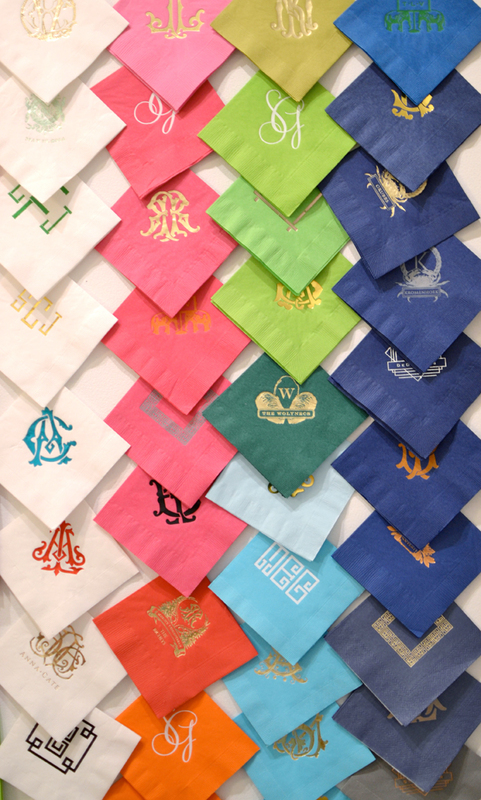 The next Hostess Hour is tonight at her shop from 5-7 featuring Paige Minear from The Pink Clutch. If you can't make it, be sure to tune in to Emily's Facebook page where she'll be streaming live! 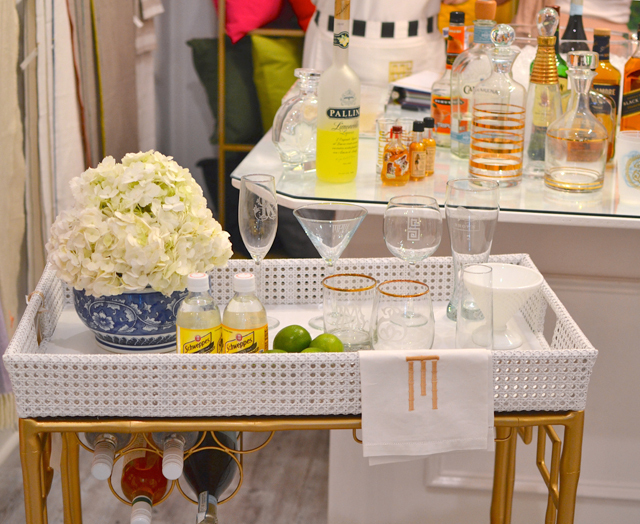 I wanted to share a few shots from the last Hostess Hour, which was all about styling your home bar- something you all know I love to do! 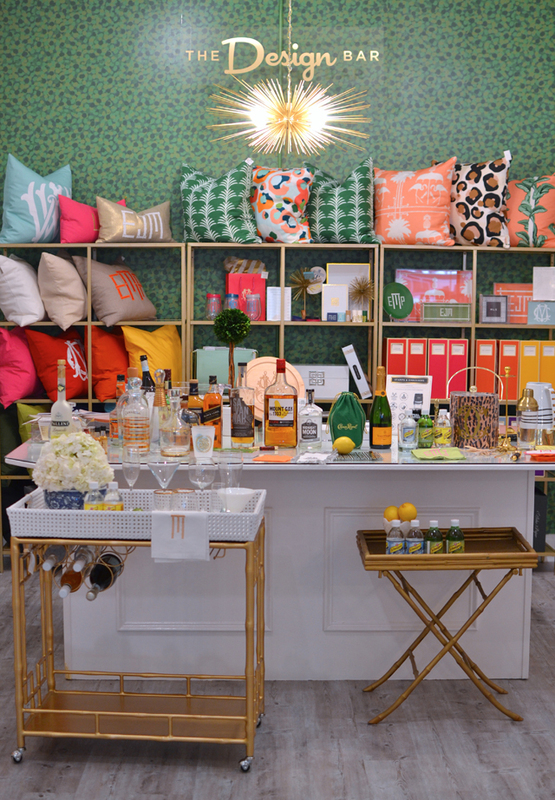 Emily had some great tips for all of your bar basics and she sells so many fun items that would be the perfect personalized touch to your home bar. 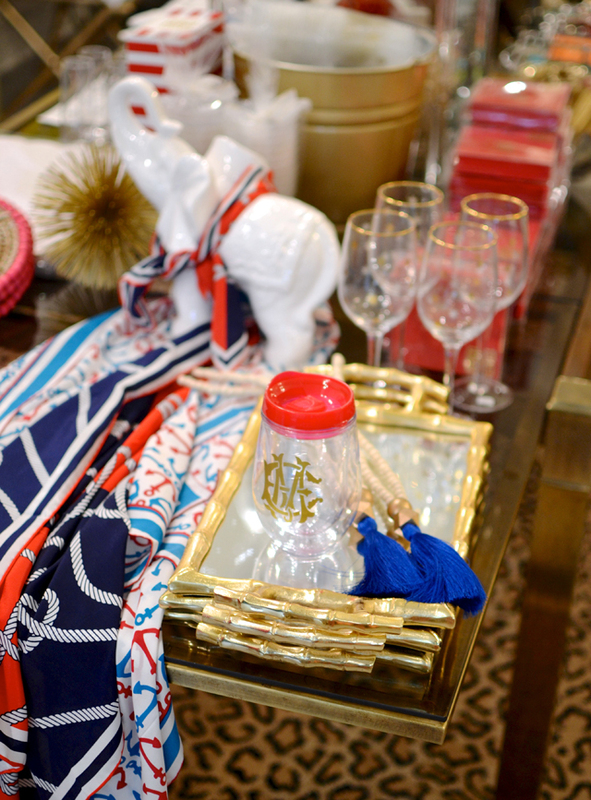 I had to pick up one of these monogrammed acrylic tumblers for the 4th of July weekend! 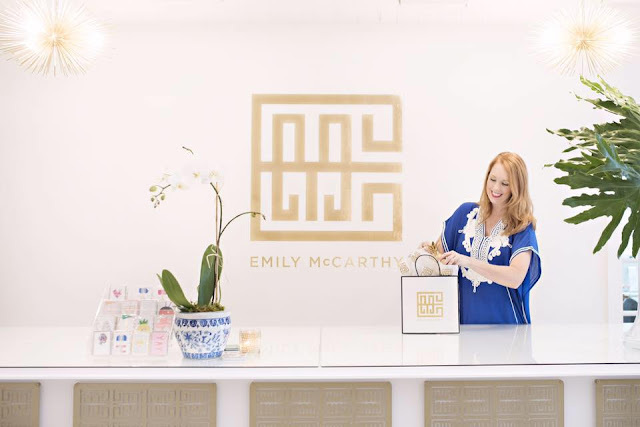 Hope to see all my Savannah friends tonight at the Emily McCarthy Shoppe at 2428 Abercorn Street! Oh my gosh, this looks like such a fun night out!! When I finally make a trip to Savannah, I'd love to check this out! I meaaaannn! 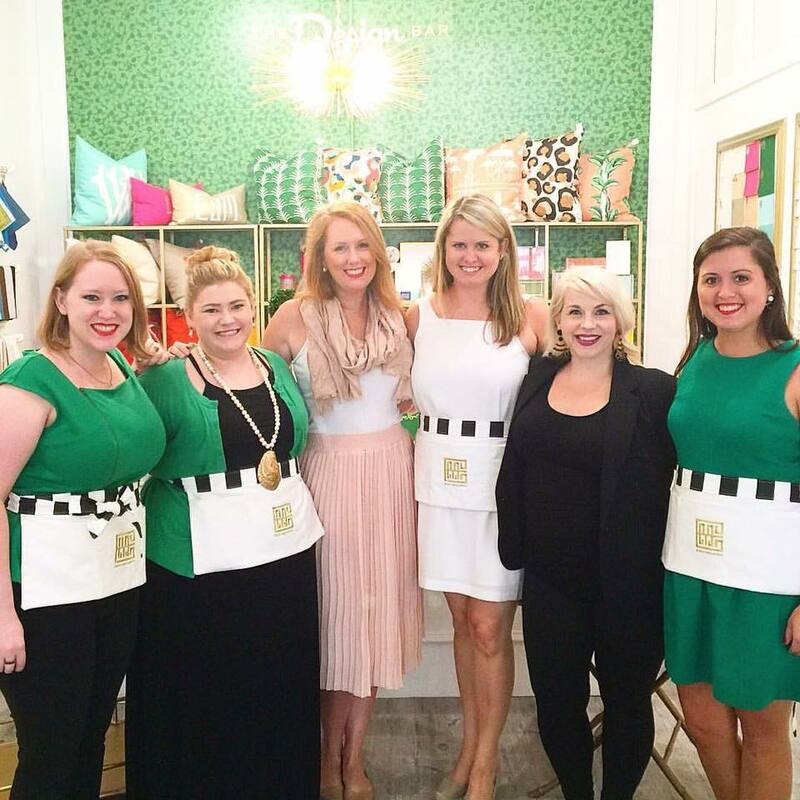 Totally going to make a trip to Savannah that just happens to coordinate around another event like this at her shop! Love! 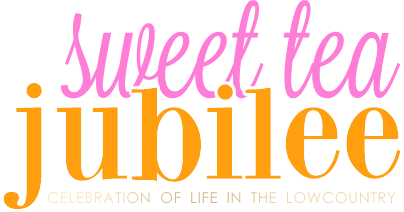 Patriotic Recipes and Weekend Sales!